The violin, sometimes known as a fiddle, is a wooden string instrument in the violin family. Most violins have a hollow wooden body. It is the smallest and highest-pitched instrument in the family in regular use. Smaller violin-type instruments exist, including the violino piccolo and the kit violin, but these are virtually unused. The violin typically has four strings tuned in perfect fifths with notes G3, D4, A4, E5, and is most commonly played by drawing a bow across its strings, though it can also be played by plucking the strings with the fingers (pizzicato) and by striking the strings with the wooden side of the bow (col legno). Violins are important instruments in a wide variety of musical genres. They are most prominent in the Western classical tradition, both in ensembles (from chamber music to orchestras) and as solo instruments and in many varieties of folk music, including country music, bluegrass music and in jazz. Electric violins with solid bodies and piezoelectric pickups are used in some forms of rock music and jazz fusion, with the pickups plugged into instrument amplifiers and speakers to produce sound. Further, the violin has come to be played in many non-Western music cultures, including Indian music and Iranian music. The name fiddle is often used regardless of the type of music played on it. The violin was first known in 16th-century Italy, with some further modifications occurring in the 18th and 19th centuries to give the instrument a more powerful sound and projection. In Europe, it served as the basis for the development of other stringed instruments used in Western classical music, such as the viola. Violinists and collectors particularly prize the fine historical instruments made by the Stradivari, Guarneri, Guadagnini and Amati families from the 16th to the 18th century in Brescia and Cremona (Italy) and by Jacob Stainer in Austria. According to their reputation, the quality of their sound has defied attempts to explain or equal it, though this belief is disputed. Great numbers of instruments have come from the hands of less famous makers, as well as still greater numbers of mass-produced commercial "trade violins" coming from cottage industries in places such as Saxony, Bohemia, and Mirecourt. Many of these trade instruments were formerly sold by Sears, Roebuck and Co. and other mass merchandisers. The parts of a violin are usually made from different types of wood (although electric violins may not be made of wood at all, since their sound may not be dependent on specific acoustic characteristics of the instrument's construction, but rather an electronic pickup, amplifier and speaker). Violins can be strung with gut, Perlon or other synthetic, or steel strings. A person who makes or repairs violins is called a luthier or violinmaker. One who makes or repairs bows is called an archetier or bowmaker. The violin is often called a fiddle, either when used in a folk music context, or even in Classical music scenes, as an informal nickname for the instrument. The word "fiddle" was first used in English in the late 14th century. The word "fiddle" comes from "fedele, fydyll, fidel, earlier fithele, from Old English fiðele "fiddle," which is related to Old Norse fiðla, Middle Dutch vedele, Dutch vedel, Old High German fidula, German Fiedel, "a fiddle;" all of uncertain origin." As to the origin of the word "fiddle", the "...usual suggestion, based on resemblance in sound and sense, is that it is from Medieval Latin vitula." The earliest stringed instruments were mostly plucked (for example, the Greek lyre). Two-stringed, bowed instruments, played upright and strung and bowed with horsehair, may have originated in the nomadic equestrian cultures of Central Asia, in forms closely resembling the modern-day Mongolian Morin huur and the Kazakh Kobyz. Similar and variant types were probably disseminated along East-West trading routes from Asia into the Middle East, and the Byzantine Empire. The direct ancestor of all European bowed instruments is the Arabic rebab (ربابة), which developed into the Byzantine lyra by the 9th century and later the European rebec. The first makers of violins probably borrowed from various developments of the Byzantine lyra. These included the vielle (also known as the fidel or viuola) and the lira da braccio. The violin in its present form emerged in early 16th-century northern Italy. The earliest pictures of violins, albeit with three strings, are seen in northern Italy around 1530, at around the same time as the words "violino" and "vyollon" are seen in Italian and French documents. One of the earliest explicit descriptions of the instrument, including its tuning, is from the Epitome musical by Jambe de Fer, published in Lyon in 1556. By this time, the violin had already begun to spread throughout Europe. The violin proved very popular, both among street musicians and the nobility; the French king Charles IX ordered Andrea Amati to construct 24 violins for him in 1560. One of these "noble" instruments, the Charles IX, is the oldest surviving violin. The finest Renaissance carved and decorated violin in the world is the Gasparo da Salò (c.1574) owned by Ferdinand II, Archduke of Austria and later, from 1841, by the Norwegian virtuoso Ole Bull, who used it for forty years and thousands of concerts, for its very powerful and beautiful tone, similar to that of a Guarneri. "The Messiah" or "Le Messie" (also known as the "Salabue") made by Antonio Stradivari in 1716 remains pristine. It is now located in the Ashmolean Museum of Oxford. The school of Venice, with the presence of several makers of bowed instruments from the early 16th century out of more than 140 makers of string instruments registered between 1490–1630. To this day, instruments from the so-called Golden Age of violin making, especially those made by Stradivari, Guarneri del Gesù and Montagnana are the most sought-after instruments by both collectors and performers. The current record amount paid for a Stradivari violin is £9.8 million (US$15.9 million), when the instrument known as the Lady Blunt was sold by Tarisio Auctions in an online auction on June 20, 2011. A violin generally consists of a spruce top (the soundboard, also known as the top plate, table, or belly), maple ribs and back, two endblocks, a neck, a bridge, a soundpost, four strings, and various fittings, optionally including a chinrest, which may attach directly over, or to the left of, the tailpiece. A distinctive feature of a violin body is its hourglass-like shape and the arching of its top and back. The hourglass shape comprises two upper bouts, two lower bouts, and two concave C-bouts at the waist, providing clearance for the bow. The "voice" or sound of a violin depends on its shape, the wood it is made from, the graduation (the thickness profile) of both the top and back, the varnish that coats its outside surface and the skill of the luthier in doing all of these steps. The varnish and especially the wood continue to improve with age, making the fixed supply of old well-made violins built by famous luthiers much sought-after. The majority of glued joints in the instrument use animal hide glue rather than common white glue for a number of reasons. Hide glue is capable of making a thinner joint than most other glues, it is reversible (brittle enough to crack with carefully applied force, and removable with very warm water) when disassembly is needed, and since fresh hide glue sticks to old hide glue, more original wood can be preserved when repairing a joint. (More modern glues must be cleaned off entirely for the new joint to be sound, which generally involves scraping off some wood along with the old glue.) Weaker, diluted glue is usually used to fasten the top to the ribs, and the nut to the fingerboard, since common repairs involve removing these parts. The purfling running around the edge of the spruce top provides some protection against cracks originating at the edge. It also allows the top to flex more independently of the rib structure. Painted-on faux purfling on the top is usually a sign of an inferior instrument. The back and ribs are typically made of maple, most often with a matching striped figure, referred to as flame, fiddleback, or tiger stripe. The neck is usually maple with a flamed figure compatible with that of the ribs and back. It carries the fingerboard, typically made of ebony, but often some other wood stained or painted black on cheaper instruments. Ebony is the preferred material because of its hardness, beauty, and superior resistance to wear. Fingerboards are dressed to a particular transverse curve, and have a small lengthwise "scoop," or concavity, slightly more pronounced on the lower strings, especially when meant for gut or synthetic strings. Some old violins (and some made to appear old) have a grafted scroll, evidenced by a glue joint between the pegbox and neck. Many authentic old instruments have had their necks reset to a slightly increased angle, and lengthened by about a centimeter. The neck graft allows the original scroll to be kept with a Baroque violin when bringing its neck into conformance with modern standards. The bridge is a precisely cut piece of maple that forms the lower anchor point of the vibrating length of the strings and transmits the vibration of the strings to the body of the instrument. Its top curve holds the strings at the proper height from the fingerboard in an arc, allowing each to be sounded separately by the bow. The sound post, or soul post, fits precisely inside the instrument between the back and top, at a carefully chosen spot near the treble foot of the bridge, which it helps support. It also influences the modes of vibration of the top and the back of the instrument. The tailpiece anchors the strings to the lower bout of the violin by means of the tailgut, which loops around an ebony button called the tailpin (sometimes confusingly called the endpin, like the cello's spike), which fits into a tapered hole in the bottom block. Very often the E string will have a fine tuning lever worked by a small screw turned by the fingers. Fine tuners may also be applied to the other strings, especially on a student instrument, and are sometimes built into the tailpiece. The fine tuners enable the performer to make small changes in the pitch of a string. At the scroll end, the strings wind around the wooden tuning pegs in the pegbox. The tuning pegs are tapered and fit into holes in the peg box. The tuning pegs are held in place by the friction of wood on wood. Strings may be made of metal or less commonly gut or gut wrapped in metal. Strings usually have a colored silk wrapping at both ends, for identification of the string (e.g., G string, D string, A string or E string) and to provide friction against the pegs. The tapered pegs allow friction to be increased or decreased by the player applying appropriate pressure along the axis of the peg while turning it. Strings were first made of sheep gut (commonly known as catgut, which despite the name, did not come from cats), or simply gut, which was stretched, dried, and twisted. In the early years of the 20th century, strings were made of either gut or steel. Modern strings may be gut, solid steel, stranded steel, or various synthetic materials such as perlon, wound with various metals, and sometimes plated with silver. Most E strings are unwound, either plain or plated steel. Gut strings are not as common as they once were, but many performers use them to achieve a specific sound especially in historically informed performance of Baroque music. Strings have a limited lifetime. Eventually, when oil, dirt, corrosion, and rosin accumulate, the mass of the string can become uneven along its length. Apart from obvious things, such as the winding of a string coming undone from wear, players generally change a string when it no longer plays "true" (with good intonation on the harmonics), losing the desired tone, brilliance and intonation. String longevity depends on string quality and playing intensity. 3D spectrum diagram of the overtones of a violin G string (foreground). Note that the pitch we hear is the peak around 200 Hz. A violin is tuned in fifths, in the notes G3, D4, A4, E5. The lowest note of a violin, tuned normally, is G3, or G below middle C. (On rare occasions, the lowest string may be tuned down by as much as a fourth, to D3.) The highest note is less well defined: E7, the E two octaves above the open string (which is tuned to E5) may be considered a practical limit for orchestral violin parts, but it is often possible to play higher, depending on the length of the fingerboard and the skill of the violinist. Yet higher notes (up to C8) can be sounded by stopping the string, reaching the limit of the fingerboard, or by using artificial harmonics. The Helmholtz corner traveling back and forth along the string. The arched shape, the thickness of the wood, and its physical qualities govern the sound of a violin. Patterns of the node made by sand or glitter sprinkled on the plates with the plate vibrated at certain frequencies, called Chladni patterns, are occasionally used by luthiers to verify their work before assembling the instrument. Apart from the standard, full (​4⁄4) size, violins are also made in so-called fractional sizes of ​7⁄8, ​3⁄4, ​1⁄2, ​1⁄4, ​1⁄8, ​1⁄10, ​1⁄16, ​1⁄32 and even ​1⁄64. These smaller instruments are commonly used by young players, whose fingers are not long enough to reach the correct positions on full-sized instruments. While related in some sense to the dimensions of the instruments, the fractional sizes are not intended to be literal descriptions of relative proportions. For example, a ​3⁄4-sized instrument is not three-quarters the length of a full size instrument. The body length (not including the neck) of a full-size, or ​4⁄4, violin is 356 mm (14.0 in), smaller in some 17th-century models. A ​3⁄4 violin's body length is 335 mm (13.2 in), and a ​1⁄2 size is 310 mm (12.2 in). With the violin's closest family member, the viola, size is specified as body length in inches or centimeters rather than fractional sizes. A full-size viola averages 40 cm (16 in). However, each individual adult will determine which size of viola to use. Occasionally, an adult with a small frame may use a so-called ​7⁄8 size violin instead of a full-size instrument. Sometimes called a lady's violin, these instruments are slightly shorter than a full size violin, but tend to be high-quality instruments capable of producing a sound that is comparable to that of fine full size violins. 5 String violin sizes may differ from the normal 4 string. The instrument which corresponds to the violin in the violin octet is the mezzo violin, tuned the same as a violin but with a slightly longer body. The strings of the mezzo violin are the same length as those of the standard violin. Violins are tuned by turning the pegs in the pegbox under the scroll, or by adjusting the fine tuner screws at the tailpiece. All violins have pegs; fine tuners (also called fine adjusters) are optional. Most fine tuners consist of a metal screw that moves a lever attached to the string end. They permit very small pitch adjustments much more easily than the pegs. By turning one clockwise, the pitch becomes sharper (as the string is under more tension) and turning one counterclockwise, the pitch becomes flatter (as the string is under less tension). Fine tuners on all four of the strings are very helpful when using those that have a steel core, and some players use them with synthetic strings as well. Since modern E strings are steel, a fine tuner is nearly always fitted for that string. Fine tuners are not used with gut strings, which are more elastic than steel or synthetic-core strings and do not respond adequately to the very small movements of fine tuners. To tune a violin, the A string is first tuned to a standard pitch (usually 440 Hz). (When accompanying or playing with a fixed-pitch instrument such as a piano or accordion, the violin tunes to it.) The other strings are then tuned against each other in intervals of perfect fifths by bowing them in pairs. A minutely higher tuning is sometimes employed for solo playing to give the instrument a brighter sound; conversely, Baroque music is sometimes played using lower tunings to make the violin's sound more gentle. After tuning, the instrument's bridge may be examined to ensure that it is standing straight and centered between the inner nicks of the f-holes; a crooked bridge may significantly affect the sound of an otherwise well-made violin. After extensive playing, the holes into which the tuning pegs are inserted can become worn, which can lead the peg to slip under tension. This can lead to the pitch of the string dropping, or if the peg becomes completely loose, to the string completely losing tension. A violin in which the tuning pegs are slipping needs to be repaired by a luthier or violin repairperson. Peg dope or peg compound, used regularly, can delay the onset of such wear, while allowing the pegs to turn smoothly. The tuning G–D–A–E is used for most violin music, both in Classical music, jazz and folk music. Other tunings are occasionally employed; the G string, for example, can be tuned up to A. The use of nonstandard tunings in classical music is known as scordatura; in some folk styles, it is called cross tuning. One famous example of scordatura in classical music is Camille Saint-Saëns' Danse Macabre, where the solo violin's E string is tuned down to E♭ to impart an eerie dissonance to the composition. Other examples are the third movement of Contrasts, by Béla Bartók, where the E string is tuned down to E♭ and the G tuned to a G♯, and the Mystery Sonatas by Biber, in which each movement has different scordatura tuning. In Indian classical music and Indian light music, the violin is likely to be tuned to D♯–A♯–D♯–A♯ in the South Indian style. As there is no concept of absolute pitch in Indian classical music, any convenient tuning maintaining these relative pitch intervals between the strings can be used. Another prevalent tuning with these intervals is B♭–F–B♭–F, which corresponds to Sa–Pa–Sa–Pa in the Indian carnatic classical music style. In the North Indian Hindustani style, the tuning is usually Pa-Sa-Pa-Sa instead of Sa–Pa–Sa–Pa. This could correspond to F–B♭–F–B♭, for instance. In Iranian classical music and Iranian light music, the violin ls different tunings in any Dastgah, the violin is likely to be tuned (E–A–E–A) in Dastgah-h Esfahan or in Dastgāh-e Šur is (E–A–D–E) and (E–A–E–E), in Dastgāh-e Māhur is (E–A–D–A). In Arabic classical music, the A and E strings are lowered by a whole step i.e. G–D–G–D. This is to ease playing Arabic maqams, especially those containing quarter tones. While most violins have four strings, there are violins with additional strings. Some have as many as seven strings. Seven strings is generally thought to be the maximum number of strings that can be put on a bowed string instrument, because with more than seven strings, it would be impossible to play a particular inner string individually with the bow. Instruments with seven strings are very rare. The extra strings on such violins typically are lower in pitch than the G-string; these strings are usually tuned to C, F, and B♭. If the instrument's playing length, or string length from nut to bridge, is equal to that of an ordinary full-scale violin; i.e., a bit less than 13 inches (33 cm), then it may be properly termed a violin. Some such instruments are somewhat longer and should be regarded as violas. Violins with five strings or more are typically used in jazz or folk music. Some custom-made instruments have extra strings which are not bowed, but which sound sympathetically, due to the vibrations of the bowed strings. A violin is usually played using a bow consisting of a stick with a ribbon of horsehair strung between the tip and frog (or nut, or heel) at opposite ends. A typical violin bow may be 75 cm (30 in) overall, and weigh about 60 g (2.1 oz). Viola bows may be about 5 mm (0.20 in) shorter and 10 g (0.35 oz) heavier. At the frog end, a screw adjuster tightens or loosens the hair. Just forward of the frog, a leather thumb cushion, called the grip, and winding protect the stick and provide a strong grip for the player's hand. Traditional windings are of wire (often silver or plated silver), silk, or baleen ("whalebone", now substituted by alternating strips of tan and black plastic.) Some fiberglass student bows employ a plastic sleeve as grip and winding. Bow hair traditionally comes from the tail of a grey male horse (which has predominantly white hair). Some cheaper bows use synthetic fiber. Solid rosin is rubbed onto the hair, to render it slightly sticky; when the bow is drawn across a string, the friction between them makes the string vibrate. Traditional materials for the more costly bow sticks include snakewood, and brazilwood (which is also known as Pernambuco wood). Some recent bow design innovations use carbon fiber (CodaBows) for the stick, at all levels of craftsmanship. Inexpensive bows for students are made of less costly timbers, or from fiberglass (Glasser). Man playing violin on a park bench. The violin is played either seated or standing up. Solo players (whether playing alone, with a piano or with an orchestra) play mostly standing up (unless prevented by a physical disability such as in the case of Itzhak Perlman), while in the orchestra and in chamber music it is usually played seated. In the 2000s and 2010s, some orchestras performing Baroque music (such as the Freiburg Baroque Orchestra) have had all of their violins and violas, solo and ensemble, perform standing up. The standard way of holding the violin is with the left side of the jaw resting on the chinrest of the violin, and supported by the left shoulder, often assisted by a shoulder rest (or a sponge and an elastic band for younger players who struggle with shoulder rests). The jaw and the shoulder must hold the violin firmly enough to allow it to remain stable when the left hand goes from a high position (a high pitched note far up on the fingerboard) to a low one (nearer to the pegbox). In the Indian posture, the stability of the violin is guaranteed by its scroll resting on the side of the foot. While teachers point out the vital importance of good posture both for the sake of the quality of the playing and to reduce the chance of repetitive strain injury, advice as to what good posture is and how to achieve it differs in details. However all insist on the importance of a natural relaxed position without tension or rigidity. Things which are almost universally recommended is keeping the left wrist straight (or very nearly so) to allow the fingers of the left hand to move freely and to reduce the chance of injury and keeping either shoulder in a natural relaxed position and avoiding raising either of them in an exaggerated manner. This, like any other unwarranted tension, would limit freedom of motion, and increase the risk of injury. Hunching can hamper good playing, because it throws the body off balance and makes the shoulders rise. Another sign that comes from unhealthy tension is pain in the left hand, which indicates too much pressure when holding the violin. First position fingerings. Note that this diagram only shows the "first position" notes. There are notes of higher pitch beyond those indicated. The left hand determines the sounding length of the string, and thus the pitch of the string, by "stopping" it (pressing it) against the fingerboard with the fingertips, producing different pitches. As the violin has no frets to stop the strings, as is usual with the guitar, the player must know exactly where to place the fingers on the strings to play with good intonation (tuning). Beginning violinists play open strings and the lowest position, nearest to the nut. Students often start with relatively easy keys, such as A Major and G major. Students are taught scales and simple melodies. Through practice of scales and arpeggios and ear training, the violinist's left hand eventually "finds" the notes intuitively by muscle memory. Beginners sometimes rely on tapes placed on the fingerboard for proper left hand finger placement, but usually abandon the tapes quickly as they advance. Another commonly used marking technique uses dots of white-out on the fingerboard, which wear off in a few weeks of regular practice. This practice, unfortunately, is used sometimes in lieu of adequate ear-training, guiding the placement of fingers by eye and not by ear. Especially in the early stages of learning to play, the so-called "ringing tones" are useful. There are nine such notes in first position, where a stopped note sounds a unison or octave with another (open) string, causing it to resonate sympathetically. Students often use these ringing tones to check the intonation of the stopped note by seeing if it is harmonious with the open string. For example, when playing the stopped pitch "A" on the G string, the violinist could play the open D string at the same time, to check the intonation of the stopped "A". If the "A" is in tune, the "A" and the open D string should produce a harmonious perfect fourth. Violins are tuned in perfect fifths, like all the orchestral strings (violin, viola, cello) except the double bass, which is tuned in perfect fourths. Each subsequent note is stopped at a pitch the player perceives as the most harmonious, "when unaccompanied, [a violinist] does not play consistently in either the tempered or the natural [just] scale, but tends on the whole to conform with the Pythagorean scale." When violinists are playing in a string quartet or a string orchestra, the strings typically "sweeten" their tuning to suit the key they are playing in. When playing with an instrument tuned to equal temperament, such as a piano, skilled violinists adjust their tuning to match the equal temperament of the piano to avoid discordant notes. The fingers are conventionally numbered 1 (index) through 4 (little finger) in music notation, such as sheet music and etude books. Especially in instructional editions of violin music, numbers over the notes may indicate which finger to use, with 0 or O indicating an open string. The chart to the right shows the arrangement of notes reachable in first position. Not shown on this chart is the way the spacing between note positions becomes closer as the fingers move up (in pitch) from the nut. The bars at the sides of the chart represent the usual possibilities for beginners' tape placements, at 1st, high 2nd, 3rd, and 4th fingers. The placement of the left hand on the fingerboard is characterized by "positions". First position, where most beginners start (although some methods start in third position), is the most commonly used position in string music. Music composed for beginning youth orchestras is often mostly in first position. The lowest note available in this position in standard tuning is an open G; the highest note in first position is played with the fourth finger on the E-string, sounding a B. Moving the hand up the neck, so the first finger takes the place of the second finger, brings the player into second position. Letting the first finger take the first-position place of the third finger brings the player to third position, and so on. A change of positions, with its associated movement of the hand, is referred to as a shift, and effective shifting maintaining accurate intonation and a smooth legato (connected) sound is a key element of technique at all levels. Often a "guide finger" is used; the last finger to play a note in the old position continuously lightly touches the string during the course of the shift to end up on its correct place in the new position. In elementary shifting exercises the "guide finger" is often voiced while it glides up and down the string, so the player can establish by ear whether they are landing in the correct place, however outside of these exercises it should rarely be audible (unless the performer is consciously applying a portamento effect for expressive reasons). In the course of a shift in low positions, the thumb of the left hand moves up or down the neck of the instrument so as to remain in the same position relative to the fingers (though the movement of the thumb may occur slightly before, or slightly after, the movement of the fingers). In such positions, the thumb is often thought of as an 'anchor' whose location defines what position the player is in. In very high positions, the thumb is unable to move with the fingers as the body of the instrument gets in the way. Instead, the thumb works around the neck of the instrument to sit at the point at which the neck meets the right bout of the body, and remains there while the fingers move between the high positions. A note played outside of the normal compass of a position, without any shift, is referred to as an extension. For instance, in third position on the A string, the hand naturally sits with the first finger on D♮ and the fourth on either G♮ or G♯. Stretching the first finger back down to a C♯, or the fourth finger up to an A♮, forms an extension. Extensions are commonly used where one or two notes are slightly out of an otherwise solid position, and give the benefit of being less intrusive than a shift or string crossing. The lowest position on the violin is referred to as "half position". In this position the first finger is on a "low first position" note, e.g. B♭ on the A string, and the fourth finger is in a downward extension from its regular position, e.g. D♮ on the A string, with the other two fingers placed in between as required. As the position of the thumb is typically the same in "half position" as in first position, it is better thought of as a backwards extension of the whole hand than as a genuine position. The upper limit of the violin's range is largely determined by the skill of the player, who may easily play more than two octaves on a single string, and four octaves on the instrument as a whole. Position names are mostly used for the lower positions and in method books and etudes; for this reason, it is uncommon to hear references to anything higher than seventh position. The highest position, practically speaking, is 13th position. Very high positions are a particular technical challenge, for two reasons. Firstly, the difference in location of different notes becomes much narrower in high positions, making the notes more challenging to locate and in some cases to distinguish by ear. Secondly, the much shorter sounding length of the string in very high positions is a challenge for the right arm and bow in sounding the instrument effectively. The finer (and more expensive) an instrument, the better able it is to sustain good tone right to the top of the fingerboard, at the highest pitches on the E string. All notes (except those below the open D) can be played on more than one string. This is a standard design feature of stringed instruments; however, it differs from the piano, which has only one location for each of its 88 notes. For instance, the note of open A on the violin can be played as the open A, or on the D string (in first to fourth positions) or even on the G string (very high up in sixth to ninth positions). Each string has a different tone quality, because of the different weights (thicknesses) of the strings and because of the resonances of other open strings. For instance, the G string is often regarded as having a very full, sonorous sound which is particularly appropriate to late Romantic music. This is often indicated in the music by the marking, for example, sul G or IV (a Roman numeral indicating to play on the fourth string; by convention, the strings are numbered from thinnest, highest pitch (I) to the lowest pitch (IV). Even without an explicit instructions in the score, an advanced violinist will use her/his discretion and artistic sensibility to select which string to play specific notes or passages. If a string is bowed or plucked without any finger stopping it, it is said to be an open string. This gives a different sound from a stopped string, since the string vibrates more freely at the nut than under a finger. Further, it is impossible to use vibrato fully on an open string (though a partial effect can be achieved by stopping a note an octave up on an adjacent string and vibrating that, which introduces an element of vibrato into the overtones). In the classical tradition, violinists will often use a string crossing or shift of position to allow them to avoid the change of timbre introduced by an open string. This is particularly true for the open E which is often regarded as having a harsh sound. However, there are also situations where an open string may be specifically chosen for artistic effect (particularly in modern music), in classical music which is imitating the drone of an organ (J. S. Bach, in his Partita in E for solo violin, achieved this), fiddling (e.g., Hoedown) or where taking steps to avoid the open string is musically inappropriate (for instance in Baroque music where shifting position was less common). In quick passages of scales or arpeggios an open E string may simply be used for convenience if the note does not have time to ring and develop a harsh timbre. In folk music, fiddling and other traditional music genres, open strings are commonly used for their resonant timbre. Playing an open string simultaneously with a stopped note on an adjacent string produces a bagpipe-like drone, often used by composers in imitation of folk music. Sometimes the two notes are identical (for instance, playing a fingered A on the D string against the open A string), giving a ringing sort of "fiddling" sound. Playing an open string simultaneously with an identical stopped note can also be called for when more volume is required, especially in orchestral playing. Some classical violin parts have notes for which the composer requests the violinist to play an open string, because of the specific sonority created by an open string. Double stopping is when two separate strings are stopped by the fingers, and bowed simultaneously, producing a sixth, third, fifth, etc. harmony. Double-stops can be indicated in any position, though the widest interval that can be double-stopped naturally in one position is an octave (with the first finger on the lower string and the fourth finger on the higher string). Nonetheless, intervals of tenths or even more are sometimes required to be double-stopped in advanced playing, resulting in a very stretched left-hand position with both fingers extended. The term "double stop" is often used to encompass sounding an open string alongside a fingered note. Where three or four more simultaneous notes are written, the violinist will typically "split" the chord, choosing the lower one or two notes to play first before promptly continuing onto the upper one or two notes. A "triple stop" with three simultaneous notes is possible in some circumstances. The bow will not naturally strike three strings at once, but if there is sufficient pressure in the bowstroke the middle string can be bent down temporarily so all three can sound. This is accomplished with a heavy stroke, typically quite near the heel, and quite loud. Double stops in orchestra are divided between the players if they are not at ease with them, with half of the musicians playing the lower note and the other half playing the higher note. Sometimes, the composer will write "divisi" when he intends the two lines to be played separately. Playing double stops is common when the violins do accompaniement and another instrument plays the melody. In some Baroque music neither split-chord nor triple-stop is appropriate and violinists will arpeggiate all chords (and even what appear to be regular double stops), playing all notes individually as if they had been written as a slurred figure. In some musical styles, a sustained open string drone can be played during a passage mainly written on an adjacent string, to provide a basic accompaniment. This is more often seen in folk traditions than in classical music. However, in Baroque violins, triple-stopping came more naturally due to the bridge being less curved, so it could be played that way. Petrowitsch Bissing was an instructor of vibrato method on the violin and published a book titled Cultivation of the Violin Vibrato Tone. Vibrato is a technique of the left hand and arm in which the pitch of a note varies subtly in a pulsating rhythm. While various parts of the hand or arm may be involved in the motion, the end result is a movement of the fingertip bringing about a slight change in vibrating string length, which causes an undulation in pitch. Some violinists oscillate backwards, or lower in pitch from the actual note when using vibrato, since it is believed that perception favors the highest pitch in a varying sound. Vibrato does little, if anything, to disguise an out-of-tune note; in other words, misapplied vibrato is a poor substitute for good intonation. Scales and other exercises meant to work on intonation are typically played without vibrato to make the work easier and more effective. Music students are often taught that unless otherwise marked in music, vibrato is assumed. However, it has to be noted that this is only a trend; there is nothing on the sheet music that compels violinists to add vibrato. This can be an obstacle to a classically trained violinist wishing to play in a style that uses little or no vibrato at all, such as baroque music played in period style and many traditional fiddling styles. Vibrato can be produced by a proper combination of finger, wrist and arm motions. One method, called hand vibrato, involves rocking the hand back at the wrist to achieve oscillation, while another method, arm vibrato, modulates the pitch by rocking at the elbow. A combination of these techniques allows a player to produce a large variety of tonal effects. The "when" and "what for" and "how much" of violin vibrato are artistic matters of style and taste. Different teachers, music schools and styles of music favour different vibrato styles. For example, overdone vibrato may become distracting. In acoustic terms, the interest that vibrato adds to the sound has to do with the way that the overtone mix (or tone color, or timbre) and the directional pattern of sound projection change with changes in pitch. By "pointing" the sound at different parts of the room in a rhythmic way, vibrato adds a "shimmer" or "liveliness" to the sound of a well-made violin. Vibrato is, in a large part, left to the discretion of the violinist. Different types of vibrato will bring different moods to the piece, and the varying degrees and styles of vibrato are often characteristics that stand out in well-known violinists. Vibrato can also be used for a fast trill. A trill initiated from just hammering the finger up and down on the fingerboard will create a harsher quality than with a vibrato trill. For example, if trilling on the first finger, the second finger is placed very slightly off the string and vibrato is implemented. The second finger will lightly touch the string above the first finger causing the pitch to change. This has a softer quality and many think it is nicer-sounding than a hammered trill. Note: this trill technique only works well for semi-tonal trills, it is far more difficult to vibrato trill for an interval of a tone or more. Lightly touching the string with a fingertip at a harmonic node, but without fully pressing the string, and then plucking or bowing the string, creates harmonics. Instead of the normal tone, a higher pitched note sounds. Each node is at an integer division of the string, for example half-way or one-third along the length of the string. A responsive instrument will sound numerous possible harmonic nodes along the length of the string. Harmonics are marked in music either with a little circle above the note that determines the pitch of the harmonic, or by diamond-shaped note heads. There are two types of harmonics: natural harmonics and artificial harmonics (also known as false harmonics). Natural harmonics are played on an open string. The pitch of the open string when it is plucked or bowed is called the fundamental frequency. Harmonics are also called overtones or partials. They occur at whole-number multiples of the fundamental, which is called the first harmonic. The second harmonic is the first overtone (the octave above the open string), the third harmonic is the second overtone, and so on. The second harmonic is in the middle of the string and sounds an octave higher than the string's pitch. The third harmonic breaks the string into thirds and sounds an octave and a fifth above the fundamental, and the fourth harmonic breaks the string into quarters sounding two octaves above the first. The sound of the second harmonic is the clearest of them all, because it is a common node with all the succeeding even-numbered harmonics (4th, 6th, etc.). The third and succeeding odd-numbered harmonics are harder to play because they break the string into an odd number of vibrating parts and do not share as many nodes with other harmonics. Artificial harmonics are more difficult to produce than natural harmonics, as they involve both stopping the string and playing a harmonic on the stopped note. Using the octave frame (the normal distance between the first and fourth fingers in any given position) with the fourth finger just touching the string a fourth higher than the stopped note produces the fourth harmonic, two octaves above the stopped note. Finger placement and pressure, as well as bow speed, pressure, and sounding point are all essential in getting the desired harmonic to sound. And to add to the challenge, in passages with different notes played as false harmonics, the distance between stopping finger and harmonic finger must constantly change, since the spacing between notes changes along the length of the string. The harmonic finger can also touch at a major third above the pressed note (the fifth harmonic), or a fifth higher (a third harmonic). These harmonics are less commonly used; in the case of the major third, both the stopped note and touched note must be played slightly sharp otherwise the harmonic does not speak as readily. In the case of the fifth, the stretch is greater than is comfortable for many violinists. In the general repertoire fractions smaller than a sixth are not used. However, divisions up to an eighth are sometimes used and, given a good instrument and a skilled player, divisions as small as a twelfth are possible. There are a few books dedicated solely to the study of violin harmonics. Two comprehensive works are Henryk Heller's seven-volume Theory of Harmonics, published by Simrock in 1928, and Michelangelo Abbado's five-volume Tecnica dei suoni armonici published by Ricordi in 1934. Elaborate passages in artificial harmonics can be found in virtuoso violin literature, especially of the 19th and early 20th centuries. Two notable examples of this are an entire section of Vittorio Monti's Csárdás and a passage towards the middle of the third movement of Pyotr Ilyich Tchaikovsky's Violin Concerto. A section of the third movement of Violin Concerto No. 1 (Paganini) consists of double-stopped thirds in harmonics. When strings are worn, dirty and old, the harmonics may no longer be accurate in pitch. For this reason, violinists change their strings regularly. The strings may be sounded by drawing the hair of the bow held by the right hand across them (arco) or by plucking them (pizzicato) most often with the right hand. In some cases, the violinist will pluck strings with the left hand. This is done to facilitate transitions from pizz to arco playing. It is also used in some virtuoso showpieces. Left hand pizzes are usually open strings. Pizz is used on all of the violin family instruments; however, the systematic study of advanced pizzicato techniques is most developed in jazz bass, a style in which the instrument is mostly played pizzicato. The right arm, hand, and bow and the bow speed are responsible for tone quality, rhythm, dynamics, articulation, and most (but not all) changes in timbre. The player draws the bow over the string, causing the string to vibrate and produce a sustained tone. The bow is a wooden stick with tensioned horsetail hair, which has been rosined with a bar of rosin. The natural texture of the horsehair and the stickiness of the rosin help the bow to "grip" the string, and thus when the bow is drawn over the string, the bow causes the string to sound a pitch. Bowing can be used to produce long sustained notes or melodies. With a string section, if the players in a section change their bows at different times, a note can seem to be endlessly sustainable. As well, the bow can be used to play short, crisp little notes, such as repeated notes, scales and arpeggios, which provide a propulsive rhythm in many styles of music. The most essential part of bowing technique is the bow grip. It is usually with the thumb bent in the small area between the frog and the winding of the bow. The other fingers are spread somewhat evenly across the top part of the bow. The pinky finger is curled with the tip of the finger placed on the wood next to the screw. The violin produces louder notes with greater bow speed or more weight on the string. The two methods are not equivalent, because they produce different timbres; pressing down on the string tends to produce a harsher, more intense sound. One can also achieve a louder sound by placing the bow closer to the bridge. The sounding point where the bow intersects the string also influences timbre (or "tone colour"). Playing close to the bridge (sul ponticello) gives a more intense sound than usual, emphasizing the higher harmonics; and playing with the bow over the end of the fingerboard (sul tasto) makes for a delicate, ethereal sound, emphasizing the fundamental frequency. Dr. Suzuki referred to the sounding point as the Kreisler highway; one may think of different sounding points as lanes in the highway. Various methods of attack with the bow produce different articulations. There are many bowing techniques that allow for every range of playing style and many teachers, players, and orchestras spend a lot of time developing techniques and creating a unified technique within the group. These techniques include legato-style bowing (a smooth, connected, sustained sound suitable for melodies), collé, and a variety of bowings which produce shorter notes, including ricochet, sautillé, martelé, spiccato, and staccato. A note marked pizz. (abbreviation for pizzicato) in the written music is to be played by plucking the string with a finger of the right hand rather than by bowing. (The index finger is most commonly used here.) Sometimes in orchestra parts or virtuoso solo music where the bow hand is occupied (or for show-off effect), left-hand pizzicato will be indicated by a + (plus sign) below or above the note. In left-hand pizzicato, two fingers are put on the string; one (usually the index or middle finger) is put on the correct note, and the other (usually the ring finger or little finger) is put above the note. The higher finger then plucks the string while the lower one stays on, thus producing the correct pitch. By increasing the force of the pluck, one can increase the volume of the note that the string is producing. Pizzicato is used in orchestral works and in solo showpieces. In orchestral parts, violinists often have to make very quick shifts from arco to pizzicato, and vice versa. 4 time signature. Benjamin Britten's The Young Person's Guide to the Orchestra demands its use in the "Percussion" Variation. Dmitri Shostakovich uses it in his Fourteenth Symphony in the movement 'At the Sante Jail'. Some violinists, however, object to this style of playing as it can damage the finish and impair the value of a fine bow, but most of such will compromise by using a cheap bow for at least the duration of the passage in question. A smooth and even stroke during which bow speed and weight are the same from beginning of the stroke to the end. Literally hammered, a strongly accented effect produced by releasing each bowstroke forcefully and suddenly. Martelé can be played in any part of the bow. It is sometimes indicated in written music by an arrowhead. Tremolo is the very rapid repetition (typically of a single note, but occasionally of multiple notes), usually played at the tip of the bow. Tremolo is marked with three short, slanted lines across the stem of the note. Tremolo is often used as a sound effect in orchestral music, particularly in the Romantic music era (1800-1910) and in opera music. Attaching a small metal, rubber, leather, or wooden device called a mute, or sordino, to the bridge of the violin gives a softer, more mellow tone, with fewer audible overtones; the sound of an entire orchestral string section playing with mutes has a hushed quality. The mute changes both the loudness and the timbre ("tone colour") of a violin. The conventional Italian markings for mute usage are con sord., or con sordino, meaning 'with mute'; and senza sord., meaning 'without mute'; or via sord., meaning 'mute off'. Larger metal, rubber, or wooden mutes are widely available, known as practice mutes or hotel mutes. Such mutes are generally not used in performance, but are used to deaden the sound of the violin in practice areas such as hotel rooms. (For practicing purposes there is also the mute violin, a violin without a sound box.) Some composers have used practice mutes for special effect, for example, at the end of Luciano Berio's Sequenza VIII for solo violin. A sonata for two violins by the Baroque composer Telemann. A relatively typical baroque violin composition, it would probably have been performed with less use of vibrato originally. Mischa Elman playing the Meditation from Massenet's opera Thais, recorded in 1919. The very legato style of playing, with lavish use of portamento, rubato and vibrato and the higher registers of the instrument is typical of violin playing in the late Romantic period. Since the Baroque era, the violin has been one of the most important of all instruments in classical music, for several reasons. The tone of the violin stands out above other instruments, making it appropriate for playing a melody line. In the hands of a good player, the violin is extremely agile, and can execute rapid and difficult sequences of notes. Violins make up a large part of an orchestra, and are usually divided into two sections, known as the first and second violins. Composers often assign the melody to the first violins, typically a more difficult part using higher positions, while second violins play harmony, accompaniment patterns or the melody an octave lower than the first violins. A string quartet similarly has parts for first and second violins, as well as a viola part, and a bass instrument, such as the cello or, rarely, the double bass. The earliest references to jazz performance using the violin as a solo instrument are documented during the first decades of the 20th century. Joe Venuti, one of the first jazz violinists, is known for his work with guitarist Eddie Lang during the 1920s. Since that time there have been many improvising violinists including Stéphane Grappelli, Stuff Smith, Eddie South, Regina Carter, Johnny Frigo, John Blake, Adam Taubitz, Leroy Jenkins, and Jean-Luc Ponty. While not primarily jazz violinists, Darol Anger and Mark O'Connor have spent significant parts of their careers playing jazz. The Swiss-Cuban violinist Yilian Cañizares mixes jazz with Cuban music. The Indian violin, while essentially the same instrument as that used in Western music, is different in some senses. The instrument is tuned so that the IV and III strings (G and D on a western-tuned violin) and the II and I (A and E) strings are sa–pa (do–sol) pairs and sound the same but are offset by an octave, resembling common scordatura or fiddle cross-tunings such as G–D–G–D or A–E–A–E. The tonic sa (do) is not fixed, but variably tuned to accommodate the vocalist or lead player. The way the musician holds the instrument varies from Western to Indian music. In Indian music the musician sits on the floor cross-legged with the right foot out in front of them. The scroll of the instrument rests on the foot. This position is essential to playing well due to the nature of Indian music. The hand can move all over the fingerboard and there is no set position for the left hand, so it is important for the violin to be in a steady, unmoving position. Andrew Bird with violin, 2009. Lindsey Stirling performing at TEDx Berkeley, 2012. Eric Stanley performing at TEDx Richmond, 2013. Up through at least the 1970s, most types of popular music used bowed string sections. They were extensively used in popular music throughout the 1920s and early 1930s. With the rise of swing music, however, from 1935 to 1945, the string sound was often used to add to the fullness of big band music. Following the swing era, from the late 1940s to the mid-1950s, strings began to be revived in traditional pop music. This trend accelerated in the late 1960s, with a significant revival of the use of strings, especially in soul music. Popular Motown recordings of the late 1960s and 1970s relied heavily on strings as part of their trademark texture. The rise of disco music in the 1970s continued this trend with the heavy use of string instruments in popular disco orchestras (e.g., Love Unlimited Orchestra, Biddu Orchestra, Monster Orchestra, Salsoul Orchestra, MFSB). With the rise of electronically created music in the 1980s, violins declined in use, as synthesized string sounds played by a keyboardist with a synthesizer took their place. However, while the violin has had very little usage in mainstream rock music, it has some history in progressive rock (e.g., Electric Light Orchestra, King Crimson, Kansas, Gentle Giant). The 1973 album Contaminazione by Italy's RDM plays violins off against synthesizers at its finale ("La grande fuga"). The instrument has a stronger place in modern jazz fusion bands, notably The Corrs. The fiddle is sometimes a part of British folk rock music, as exemplified by the likes of Fairport Convention and Steeleye Span. The popularity of crossover music beginning in the last years of the 20th century has brought the violin back into the popular music arena, with both electric and acoustic violins being used by popular bands. Dave Matthews Band features violinist Boyd Tinsley. The Flock featured violinist Jerry Goodman who later joined the jazz-rock fusion band, The Mahavishnu Orchestra. James' Saul Davies, who is also a guitarist, was enlisted by the band as a violinist. For their first three albums and related singles, the British group No-Man made extensive use of electric and acoustic solo violin as played by band member Ben Coleman (who played violin exclusively). Pop-Punk band Yellowcard has made a mainstay of violin in its music. Violinist Sean Mackin has been a member of the band since 1997. Los Salvadores also combine punk and ska influences with a violin. Doom metal band My Dying Bride have used violin as a part of their line-up throughout many of their albums. The violin appears prominently in the music of Spanish folk metal group Mägo de Oz (for example, in their 1998 hit "Molinos de viento"). The violinist (Carlos Prieto a.k.a. "Mohamed") has been one of the group's most popular members with fans since 1992. The instrument is also used often in symphonic metal, particularly by bands such as Therion, Nightwish, Within Temptation, Haggard, and Epica, although it can also be found in Gothic Metal bands such as Tristania and Theater of Tragedy. The alternative rock band Hurt's vocalist plays violin for the band, making them one of few rock bands to feature violin without hiring a session worker. The folk metal band Ithilien use violin extensively along their discography. Progressive metal band Ne Obliviscaris feature a violin player, Tim Charles, in their line-up. Independent artists, such as Owen Pallett, The Shondes, and Andrew Bird, have also spurred increased interest in the instrument. Indie bands have often embraced new and unusual arrangements, allowing them more freedom to feature the violin than many mainstream musical artists. It has been used in the post-rock genre by bands such as A Genuine Freakshow, Sigur Rós, Zox, Broken Social Scene, and A Silver Mt. Zion. The electric violin has even been used by bands like The Crüxshadows within the context of keyboard based music. Lindsey Stirling plays the violin in conjunction with electronic/dubstep/trance rifts and beats. Eric Stanley improvises on the violin with hip hop music/pop/classical elements and instrumental beats. The successful indie rock and baroque pop band Arcade Fire use violins extensively in their arrangements. Indian, Pakistani, Turkish, and Arabic pop music is filled with the sound of violins, both soloists and ensembles. Like many other instruments used in classical music, the violin descends from remote ancestors that were used for folk music. Following a stage of intensive development in the late Renaissance, largely in Italy, the violin had improved (in volume, tone, and agility), to the point that it not only became a very important instrument in art music, but proved highly appealing to folk musicians as well, ultimately spreading very widely, sometimes displacing earlier bowed instruments. Ethnomusicologists have observed its widespread use in Europe, Asia, and the Americas. When played as a folk instrument, the violin is usually referred to in English as a fiddle (although the term fiddle can be used informally no matter what the genre of music). Worldwide, there are various stringed instruments such as the wheel fiddle and Apache fiddle that are also called "fiddles". Fiddle music differs from classical in that the tunes are generally considered dance music, and various techniques, such as droning, shuffling, and ornamentation specific to particular styles are used. In many traditions of folk music, the tunes are not written but are memorized by successive generations of musicians and passed on in what is known as the oral tradition. Many old-time pieces call for cross-tuning, or using tunings other than standard GDAE. 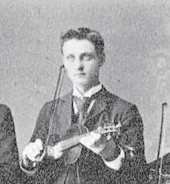 Some players of American styles of folk fiddling (such as bluegrass or old-time) have their bridge's top edge cut to a slightly flatter curve, making techniques such as a "double shuffle" less taxing on the bow arm, as it reduces the range of motion needed for alternating between double stops on different string pairs. Fiddlers who use solid steel core strings may prefer to use a tailpiece with fine tuners on all four strings, instead of the single fine tuner on the E string used by many classical players. As well as the Arabic rababah, the violin has been used in Arabic music. Electric violins have a magnetic or piezoelectric pickup that converts string vibration to an electric signal. A patch cable or wireless transmitter sends the signal to an amplifier of a PA system. Electric violins are usually constructed as such, but a pickup can be added to a conventional acoustic violin. An electric violin with a resonating body that produces listening-level sound independently of the electric elements can be called an electro-acoustic violin. To be effective as an acoustic violin, electro-acoustic violins retain much of the resonating body of the violin, and often resemble an acoustic violin or fiddle. The body may be finished in bright colors and made from alternative materials to wood. These violins may need to be hooked up to an instrument amplifier or PA system. Some types come with a silent option that allows the player to use headphones that are hooked up to the violin. The first specially built electric violins date back to 1928 and were made by Victor Pfeil, Oskar Vierling, George Eisenberg, Benjamin Miessner, George Beauchamp, Hugo Benioff and Fredray Kislingbury. These violins can be plugged into effect units, just like an electric guitar, including distortion, wah-wah pedal and reverb. Since electric violins do not rely on string tension and resonance to amplify their sound they can have more strings. For example, five-stringed electric violins are available from several manufacturers, and a seven string electric violin (with three lower strings encompassing the cello's range) is also available. The majority of the first electric violinists were musicians playing jazz fusion (e.g., Jean-Luc Ponty) and popular music. Violin authentication is the process of determining the maker and manufacture date of a violin. This process is similar to that used to determine the provenance of art works. As significant value may be attached to violins made either by specific makers or at specific times and locations, forgery and other methods of fraudulent misrepresentation can be used to inflate the value of an instrument. ^ Singh, Jhujhar. "Interview: Kala Ramnath". News X. YouTube. Retrieved 5 September 2015. ^ Allen, Edward Heron (1914). Violin-making, as it was and is: Being a Historical, Theoretical, and Practical Treatise on the Science and Art of Violin-making, for the Use of Violin Makers and Players, Amateur and Professional. Preceded by An Essay on the Violin and Its Position as a Musical Instrument. E. Howe. Accessed 5 September 2015. ^ Choudhary, S.Dhar (2010). The Origin and Evolution of Violin as a Musical Instrument and Its Contribution to the Progressive Flow of Indian Classical Music: In search of the historical roots of violin. Ramakrisna Vedanta Math. ISBN 978-9380568065. Retrieved 5 September 2015. ^ Belluck, Pam (April 7, 2014). "A Strad? Violinists Can't Tell". New York Times. Retrieved April 9, 2014. ^ Christopher Joyce (2012). "Double-Blind Violin Test: Can You Pick The Strad?". NPR. Retrieved 2012-01-02. ^ a b "Violin". www.etymonline.com. Online Etymology Dictionary. Retrieved 20 May 2017. ^ a b "Viola". www.etymonline.com. Online Etymology Dictionary. Retrieved 20 May 2017. ^ a b c "Fiddle". www.etymonline.com. Online Etymology Dictionary. Retrieved 20 May 2017. ^ Hoffman, Miles (1997). The NPR Classical Music Companion: Terms and Concepts from A to Z. Houghton Mifflin Harcourt. ISBN 978-0618619450. ^ "Rabab". Encyclopedia Britannica. Retrieved 6 April 2019. ^ "Lira | musical instrument". Encyclopedia Britannica. Retrieved 6 April 2019. ^ Panum, Hortense (1939). "The stringed instruments of the Middle Ages, their evolution and development". London: William Reeves: 434. ^ Arkenberg, Rebecca (October 2002). "Renaissance Violins". Metropolitan Museum of Art. Retrieved 2006-09-22. ^ Deverich, Robin Kay (2006). "Historical Background of the Violin". ViolinOnline.com. Retrieved 2006-09-22. ^ Bartruff, William. "The History of the Violin". Archived from the original on 2007-02-08. Retrieved 2006-09-22. ^ It is now in the Vestlandske Kunstindustrimuseum in Bergen, Norway. ^ "Violin by Antonio Stradivari, 1716 (Messiah; la Messie, Salabue)". Cozio.com. Retrieved 2008-09-26. ^ Kennedy, Michael (2017). The Oxford Dictionary of Music. Oxford University Press. ^ Pio Stefano (2012). Viol and Lute Makers of Venice 1490 -1630. Venice, Italy: Venice Research. p. 441. ISBN 9788890725203. ^ Richard Perras. "Violin changes by 1800". Retrieved 2006-10-29. ^ "Stradivarius violin sold for £9.8m at charity auction". BBC News. 2011-06-21. Retrieved 2011-06-21. ^ Piston, Walter (1955). Orchestration, p.45. ^ Laird, Paul R. "Carleen Maley Hutchins' Work With Saunders". Violin Society of America. Retrieved 2008-09-26. ^ Seashore, Carl (1938). Psychology of Music, 224. quote in Kolinski, Mieczyslaw (Summer - Autumn, 1959). "A New Equidistant 12-Tone Temperament", p.210, Journal of the American Musicological Society, Vol. 12, No. 2/3, pp. 210-214. ^ Eaton, Louis (1919). The Violin. Jacobs' Band Monthly, Volume 4. p. 52. Retrieved November 16, 2012. ^ Bissing, Petrowitsch. Cultivation of the Violin Vibrato Tone. Central States Music Publishing Company. Retrieved November 16, 2012. ^ Applebaum, Samuel (1957). String Builder, Book 3: Teacher's Manual. New York: Alfred Publishing. p. 4. ISBN 978-0-7579-3056-0. . "Now we will discipline the shaking of the left hand in the following manner: Shake the wrist slowly and evenly in 8th notes. Start from the original position and for the second 8th note the wrist is to move backward (toward the scroll). Do this in triplets, dotted 8ths and 16ths, and 16th notes. A week or two later, the vibrato may be started on the Violin. ... The procedure will be as follows: 1. Roll the finger tip from this upright position on the note, to slightly below the pitch of this note." ^ Schleske, Martin. "The psychoacoustic secret of vibrato". Archived from the original on 7 February 2010. Retrieved 11 February 2010. Accordingly, the sound level of each harmonic will have a periodically fluctuating value due to the vibrato. ^ Curtin, Joseph (April 2000). "Weinreich and Directional Tone Colour". Strad Magazine. Archived from the original on May 29, 2009. Retrieved May 23, 2009. In the case of string instruments, however, not only are they strongly directional, but the pattern of their directionality changes very rapidly with frequency. If you think of that pattern at a given frequency as beacons of sound, like the quills of a porcupine, then even the slight changes in pitch created by vibrato can cause those quills to be continually undulating. ^ Fischer, Simon (1999). "Detache". Strad. 110: 638 – via Music Index. ^ "Die Sängerin und Geigerin Yilian Cañizares in Moods". Neue Zürcher Zeitung. 16 September 2013. Retrieved 12 June 2015. ^ Bhattacharya, Suryasarathi (December 10, 2017). "Violin virtuoso Dr L Subramaniam on how Indian classical music took on the world stage". First Post. ^ "Ithilien - discography, line-up, biography, interviews, photos". www.spirit-of-metal.com. Retrieved 2017-03-12. ^ Golden, Brian (December 5, 2017). "Andrew Bird Brings His Sweeping Symphony of Sounds to Chicago". Chicago Magazine. ^ Self, Brooke (April 9, 2011). "Lindsey Stirling—hip hop violinist". Her Campus. Archived from the original on 2014-12-05. ^ Tietjen, Alexa. "Get Your Life From This Violin Freestyle Of Fetty Wap's "Trap Queen"". vh1.com. VH1. Retrieved May 13, 2016. ^ Martinez, Marc (October 3, 2010). "Eric Stanley: Hip Hop Violinist". Fox 10 News (Interview). Phoenix: KTSP-TV. Retrieved December 11, 2014. ^ a b Harris, Rodger (2009). "Fiddling". okhistory.org. The Encyclopedia of Oklahoma History and Culture. Retrieved 9 February 2018. ^ "7String Violin Harlequin finish". Jordan Music. Archived from the original on 2009-02-27. Retrieved 2009-02-27. Gasparo da Salò architetto del suono by Flavio Dassenno, (2009) a catalogue of an exhibition that gives information on the famous master life and work, Comune di Salò, Cremonabooks, 2009. Grillet, Laurent (1901). "Les ancetres du violon v.1". Paris. Lalitha, Muthuswamy (2004). Violin techniques in Western and South Indian classical music: a comparative study. Sundeep Prakashan. ISBN 9788175741515. Schoenbaum, David, The Violin: A Social History of the World's Most Versatile Instrument, New York, New York : W.W. Norton & Company, December 2012. ISBN 9780393084405. Harrison, Robert William Frederick (1911). "Violin" . Encyclopædia Britannica. 28 (11th ed.). pp. 102–107. Antonio Lucio Vivaldi (Italian: [anˈtɔːnjo ˈluːtʃo viˈvaldi]; 4 March 1678 – 28 July 1741) was an Italian Baroque musical composer, virtuoso violinist, teacher, and priest. Born in Venice, the capital of the Venetian Republic, he is regarded as one of the greatest Baroque composers, and his influence during his lifetime was widespread across Europe. He composed many instrumental concertos, for the violin and a variety of other instruments, as well as sacred choral works and more than forty operas. His best-known work is a series of violin concertos known as the Four Seasons. The cello ( CHEL-oh; plural cellos or celli) or violoncello ( VY-ə-lən-CHEL-oh; Italian pronunciation: [vjolonˈtʃɛllo]) is a string instrument. It is played by bowing or plucking its four strings, which are usually tuned in perfect fifths an octave lower than the viola: from low to high, C2, G2, D3 and A3. It is the bass member of the violin family, which also includes the violin, viola and the double bass, which doubles the bass line an octave lower than the cello in much of the orchestral repertoire. After the double bass, it is the second-largest and second lowest (in pitch) bowed string instrument in the modern symphony orchestra. The cello is used as a solo instrument, as well as in chamber music ensembles (e.g., string quartet), string orchestras, as a member of the string section of symphony orchestras, most modern Chinese orchestras, and some types of rock bands. The concertmaster (from the German Konzertmeister) in the U.S. and Canada is the leader of the first violin section in an orchestra (or clarinet in a concert band) and the instrument-playing leader of the orchestra. After the conductor, the concertmaster is the second-most significant leader in an orchestra, symphonic band or other musical ensemble. Another common term in the U.S. is "First Chair." In the U.K., Australia and elsewhere in the English-speaking world, the term commonly used is "leader." A concerto (; plural concertos, or concerti from the Italian plural) is a musical composition generally composed of three movements, in which, usually, one solo instrument (for instance, a piano, violin, cello or flute) is accompanied by an orchestra or concert band. It is accepted that its characteristics and definition have changed over time. In the 17th century, sacred works for voices and orchestra were typically called concertos, as reflected by J. S. Bach's usage of the title "concerto" for many of the works that we know as cantatas. A fiddle is a bowed string musical instrument, most often a violin. It is a colloquial term for the violin, used by players in all genres including classical music. Although violins and fiddles are essentially synonymous, the style of the music played may determine specific construction differences between fiddles and classical violins. For example, fiddles may optionally be set up with a bridge with a flatter arch to reduce the range of bow-arm motion needed for techniques such as the double shuffle, a form of bariolage involving rapid alternation between pairs of adjacent strings. To produce a "brighter" tone, compared to the deeper tones of gut or synthetic core strings, fiddlers often use steel strings. The fiddle is part of many traditional (folk) styles, which are typically aural traditions—taught 'by ear' rather than via written music. Fiddling refers to the act of playing the fiddle, and fiddlers are musicians that play it. Among musical styles, fiddling tends to produce rhythms that focus on dancing, with associated quick note changes, whereas classical music tends to contain more vibrato and sustained notes. Fiddling is also open to improvisation and embellishment with ornamentation at the player's discretion—in contrast to orchestral performances, which adhere to the composer's notes to reproduce a work faithfully. It is less common for a classically trained violinist to play folk music, but today, many fiddlers (e.g., Alasdair Fraser, Brittany Haas, Alison Krauss, etc.) have classical training. Julia Fischer (born (1983-06-15)15 June 1983, in Munich) is an acclaimed German classical violinist and pianist. She teaches at the Munich University of Music and Performing Arts and performs up to 60 times per year. On 1 January 2008, at the Alte Oper in Frankfurt, Fischer performed Camille Saint-Saëns' Violin Concerto No. 3 in B minor as the solo violinist, and Edvard Grieg's Piano Concerto in A minor as a pianist, two of the most technically demanding concertos. Wolfgang Amadeus Mozart (1756–1791) was a prolific composer and wrote in many genres. Perhaps his best-admired work is in opera, the piano concerto, sonata, the symphony, the string quartet, and string quintet. Mozart also wrote many pieces for solo piano, other forms of chamber music, masses and other religious music, and numerous dances, divertimentos, and other forms of light entertainment. A luthier ( LOO-ti-ər) is someone who builds or repairs string instruments generally consisting of a neck and a sound box. The word "luthier" comes from the French word luth, which means lute. A luthier was originally a maker of lutes, but the term now includes makers of stringed instruments such as the violin or guitar. A luthier does not make harps or pianos, as these require different skills and construction methods because their strings are secured to a frame. The craft of making string instruments, or lutherie (sometimes spelled luthiery), is commonly divided into two main categories: makers of stringed instruments that are plucked or strummed, and those that are bowed. Since bowed instruments require a bow, the second category includes a subtype known as a bow maker or archetier. Luthiers may also teach string-instrument making, either through apprenticeship or formal classroom instruction. Niccolò (or Nicolò) Paganini (Italian: [ni(k)koˈlɔ ppaɡaˈniːni] (listen); 27 October 1782 – 27 May 1840) was an Italian violinist, violist, guitarist, and composer. He was the most celebrated violin virtuoso of his time, and left his mark as one of the pillars of modern violin technique. His 24 Caprices for Solo Violin Op. 1 are among the best known of his compositions, and have served as an inspiration for many prominent composers. In music, a solo (from the Italian: solo, meaning alone) is a piece or a section of a piece played or sung featuring a single performer, who may be performing completely alone or supported by an accompanying instrument such as a piano or organ, a continuo group (in Baroque music), or the rest of a choir, orchestra, band, or other ensemble. Performing a solo is "to solo", and the performer is known as a soloist. The plural is soli or the anglicised form solos. In some context these are interchangeable, but soli tends to be restricted to classical music, and mostly either the solo performers or the solo passages in a single piece. Furthermore, the word soli can be used to refer to a small number of simultaneous parts assigned to single players in an orchestral composition. In the Baroque concerto grosso, the term for such a group of soloists was concertino. An instrumental solo is often used in popular music during a break or bridge to add interest and variety to a part of the song without lyrics. Sonata (; Italian: [soˈnaːta], pl. sonate; from Latin and Italian: sonare, "to sound"), in music, literally means a piece played as opposed to a cantata (Latin and Italian cantare, "to sing"), a piece sung. The term evolved through the history of music, designating a variety of forms until the Classical era, when it took on increasing importance. Sonata is a vague term, with varying meanings depending on the context and time period. By the early 19th century, it came to represent a principle of composing large-scale works. It was applied to most instrumental genres and regarded—alongside the fugue—as one of two fundamental methods of organizing, interpreting and analyzing concert music. Though the musical style of sonatas has changed since the Classical era, most 20th- and 21st-century sonatas still maintain the same structure. The term sonatina, pl. sonatine, the diminutive form of sonata, is often used for a short or technically easy sonata. A Stradivarius is one of the violins, violas, cellos and other string instruments built by members of the Italian family Stradivari, particularly Antonio Stradivari (Latin: Antonius Stradivarius), during the 17th and 18th centuries. According to their reputation, the quality of their sound has defied attempts to explain or equal it, though this belief is disputed. The fame of Stradivarius instruments is widespread, appearing in numerous works of fiction. Musicians play some string instruments by plucking the strings with their fingers or a plectrum—and others by hitting the strings with a light wooden hammer or by rubbing the strings with a bow. In some keyboard instruments, such as the harpsichord, the musician presses a key that plucks the string. With bowed instruments, the player pulls a rosined horsehair bow across the strings, causing them to vibrate. With a hurdy-gurdy, the musician cranks a wheel whose rosined edge touches the strings. Bowed instruments include the string section instruments of the Classical music orchestra (violin, viola, cello and double bass) and a number of other instruments (e.g., viols and gambas used in early music from the Baroque music era and fiddles used in many types of folk music). All of the bowed string instruments can also be plucked with the fingers, a technique called "pizzicato". A wide variety of techniques are used to sound notes on the electric guitar, including plucking with the fingernails or a plectrum, strumming and even "tapping" on the fingerboard and using feedback from a loud, distorted guitar amplifier to produce a sustained sound. Some types of string instrument are mainly plucked, such as the harp and the electric bass. In the Hornbostel-Sachs scheme of musical instrument classification, used in organology, string instruments are called chordophones. Other examples include the sitar, rebab, banjo, mandolin, ukulele, and bouzouki. In most string instruments, the vibrations are transmitted to the body of the instrument, which often incorporates some sort of hollow or enclosed area. The body of the instrument also vibrates, along with the air inside it. The vibration of the body of the instrument and the enclosed hollow or chamber make the vibration of the string more audible to the performer and audience. The body of most string instruments is hollow. Some, however—such as electric guitar and other instruments that rely on electronic amplification—may have a solid wood body. The string section is composed of bowed instruments belonging to the violin family. It normally consists of first and second violins, violas, cellos, and double basses. It is the most numerous group in the typical Classical orchestra. In discussions of the instrumentation of a musical work, the phrase "the strings" or "and strings" is used to indicate a string section as just defined. An orchestra consisting solely of a string section is called a string orchestra. Smaller string sections are sometimes used in jazz, pop and rock music and in the pit orchestras of musical theatre. The viola (; Italian pronunciation: [ˈvjɔːla]) is a string instrument that is bowed or played with varying techniques. It is slightly larger than a violin and has a lower and deeper sound. Since the 18th century, it has been the middle or alto voice of the violin family, between the violin (which is tuned a perfect fifth above) and the cello (which is tuned an octave below). The strings from low to high are typically tuned to C3, G3, D4, and A4. The viola often plays the "inner voices" in string quartets and symphonic writing, and it is more likely than the first violin to play accompaniment parts. The viola occasionally plays a major, soloistic role in orchestral music. Examples include the symphonic poem Don Quixote by Richard Strauss and the symphony Harold en Italie by Hector Berlioz. In the earlier part of the 20th century, more composers began to write for the viola, encouraged by the emergence of specialized soloists such as Lionel Tertis and William Primrose. English composers Arthur Bliss, York Bowen, Benjamin Dale, Frank Bridge, Benjamin Britten and Ralph Vaughan Williams all wrote substantial chamber and concert works. Many of these pieces were commissioned by, or written for Lionel Tertis. William Walton, Bohuslav Martinů, Toru Takemitsu, Tibor Serly, Alfred Schnittke, and Béla Bartók have written well-known viola concertos. Paul Hindemith, who was a violist, wrote a substantial amount of music for viola, including the concerto Der Schwanendreher. The concerti by Paul Hindemith, Béla Bartók, and William Walton are considered the "big three" of viola repertoire. Felix Mendelssohn's Violin Concerto in E minor, Op. 64, is his last large orchestral work. It forms an important part of the violin repertoire and is one of the most popular and most frequently performed violin concertos in history. A typical performance lasts just under half an hour. The concerto was well received and soon became regarded as one of the greatest violin concertos of all time. The concerto remains popular to this day and has developed a reputation as an essential concerto for all aspiring concert violinists to master, and usually one of the first Romantic era concertos they learn. Many professional violinists have recorded the concerto and the work is regularly performed in concerts and classical music competitions. Mendelssohn also wrote a virtuoso Concerto for Violin and String Orchestra in D minor between 1821 and 1823, when he was 12 to 14 years old, at the same time that he produced his twelve string symphonies. This work was "rediscovered" and first recorded in 1951 by Yehudi Menuhin. Traditionally a three-movement work, the violin concerto has been structured in four movements by a number of modern composers, including Dmitri Shostakovich, Igor Stravinsky, and Alban Berg. In some violin concertos, especially from the Baroque and modern eras, the violin (or group of violins) is accompanied by a chamber ensemble rather than an orchestra—for instance, in Vivaldi's L'estro armonico, originally scored for four violins, two violas, cello, and continuo, and in Allan Pettersson's first concerto, for violin and string quartet.